It has been 31 days since I stepped foot in a Dollar store, home decor store and craft store! I have not spent a dime on crafts, clothing and home decorating. I am shocked and can't believe it myself! To start I want by thanking everyone for their words of encouragement over the past month; we have read and enjoyed every comment and email. Just a quick reminder tomorrow is the $0 Budget link party and everyone is invited to stop by to share their ideas. When my husband and I gave up spending for the month of March, I never thought I would accomplish what I did. I am amazed at how I was dependent on running to the store to buy something in order to complete a project. I just need this or that..but could I do it with what you have one hand? I proved the answer to that is yes. I will admit it got tough towards the end. I ran out of hot glue pretty early on (I should have planned a little better :) ), I am nearly out of mat Mod Podge and had to resort to glue sicks..horrible little things. I ran out of black spray paint in gloss so I have had to substitute with Satin. But in the end, shockingly, I still have enough supplies to go one more month (maybe even two-but that is just crazy talk now) which as you know is what I have to do. I am keeping this $0 budget going until Easter. Not only did I accomplish so many fun and amazing projects this month, I also got so much done around the house. By not going shopping, I had the time to do things I thought I never had the time to do. I cleaned, defrosted and used up so much in my freezer. I purged my pantry of all old and expired food (I am embarrassed at how much I had to throw out because it was bad). I cleaned my linen closet and donated old towels and sheets that we haven't used since we moved it. I purged the hundreds of books in my office and donated bags full to a local charity. I cleaned my kids closets and organized a system for laundry. This is a huge step for me because I hate doing laundry! We spent many hours playing games and spending time as a family! This is by far the best thing that came out of this month. AMAZING. #1. The stair basket out of an old cardboard box. # 2. Custom cutlery drawer divider using hard board. My flat screen TV frame is not included in my top 10 but is my absolute favorite for the month. I can't include it because it was not with a $0 budget. I had purchased the materials a couple of months ago anticipating making it...so I don't think it fits into my top 10 $0 projects. But I will show it to you in case you missed it. Remember tomorrow (or late tonight) is the $0 Budget party. 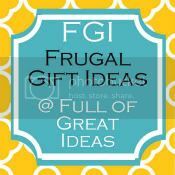 Please stop by to share all your craft, home decor, gift giving tips, family secrets...anything you want as long as you did it with stuff you had on hand. I am looking forward to seeing ideas that will get me through one more month with a $0 budget! Congrats Stephanie! It has been a seriously inspiring month! That is awesome! Way to Go! Your $0 ideas are so inspiring! Thank you! I absolutely love following your blog! If you keep creating, I will keep dreaming! What amazing projects! Thank you for sharing. I want to make at least 3 of the 10. I'm so glad I saw your link on Skip to My Lou this morning. This is great! My motto for all crafts is $0-$5 and I love what I am able to create without spending money. just found you from the stories of a to z...what great inspiration!! I've been reading your series, some great, frugal ideas here ! Thanks for sharing them all with us. A women after my own heart,my motto is use whatcha got! I love the creativity this forced out of you! Fantastic ideas and you can't beat your budget! Thanks for linking them up :). Just came across your blog...I love this!! How much money did you save that month ? i just stumbled onto your blog through pinterest, LOVE, LOVE, LOVE IT!! thanks for the ideas. I just found you through interest too! I vote for you to do this challenge again, love the ideas! I may try a $0 budget in January.....December is off-limits---right?!? Very inspiring! I found you via a post on Pinterest, I need to get my budget under control, so this is great! I am curious, did you do $0 on everything including groceries, or just projects? 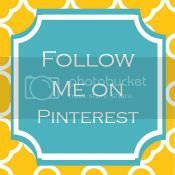 I am now following you on Pinterest, you have a lot of the same types of boards that I do, so I am looking forward to seeing what you have to share. a question about the TV frame....how does your tv vent? doesn't it get overheated all covered up like this?? - singing together. it's a really old tradition and it's lovely! we used to do this when we were children and when i have kids it'll sure be the norm! either gather around a piano if you have one and just sing together or sing on the couch, or near the radio. whatever fits! - go for a drive or walk somewhere close at night or during day. I love your crafts and wanted to share with you that you can get beautiful raft paper FREE from Sherwin Williams. They give all their out of date wallpaper sample books away. I LOVE the big books full of all types of paper. The textures paper is beautiful! I have found so much to use it for. Hope this helps! Oh wow! That is a great idea! I'm going to have to go by a Sherwin Williams store, and totally see if they do that at the one in my area! Thank you for the wonderful tip...I am a huge fan, could say even addicted, to getting new craft paper with variations of texture and print, so if my local Sherwin Williams does in fact do this, you've helped me a great deal! I always feel bad spending my husband's hard earned money on things like craft paper, but the prints and textures are just so wonderful for card making, framing my illustrations, and so on....so I continue to buy it when we have extra money available. Haha, he tells me he doesn't mind, because he knows crafting and drawing relax me like crazy, and the craft store here (Jo Ann) has great prices on most paper. Again, Lynn, thank you for the awesome tip! I am totally adoring the toilet paper tube artwork you've posted here! I've been known to use those, and lint as fire starters, but I had no idea one could make such modern and contemporary three-dimensional wall art out of them! Now that I've seen this, I have finally found a solution to the problem of what to hang on the wall of my bathroom. I recently re-did it in bold pinks, greens, and blues, with black accents, and wanted something bright, sort of geometrical, while still being fun to hang on the wall. I was going to take same-sized paint samples and put them in evenly spaced rows on poster board to make a kind of simple, yet brightly coloured collage. I wasn't liking the colour choices, or arrangements I kept coming up with, and was just racking my brain for a new, fresh idea. You have solved my small dilemma once and for all! I am going to follow you for more great, extremely affordable ideas for crafting, as I am ALWAYS looking for something new, easy and affordable in the craft world to try! Thank you for such an awesome post, and for sharing your creative intuition with us all! I hope you have a wonderful rest of the week, an even more wonderful weekend, and get plenty of good, sound rest each night! Hi, My name is Hina Sharma, I am independent Model in Dubai.I am serving my clients from last 2 years. If you want some luxury experience then book our Pakistani Escorts in Dubai. I provide services in Deira Dubai , JBR , Bur Dubai & Tecom.